President Michel Suleiman and Prime Minister Najib Mikati have signed a decree appointing Salim Jreissati as Minister of Labor replacing Charbel Nahas. 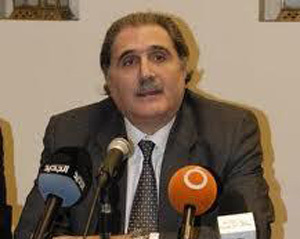 Jreissati, a retired judge and former member of the Constitutional Council, is loyal to MP Michel Aoun, the leader of the Free Patriotic Movement (FPM). Nahas submitted his resignation amid mounting political pressure after he refused to sign a decree for transportation allowances to employees. Aoun admitted that his political party has had an internal conflict with the resigned minister. The transportation allowances decree was signed as soon as Nahas’ resignation was accepted on Thursday (February 23) by acting Minister of Labor Nicolas Fattouche. Nahas accused politicians, labor unions, and economic associations of collaborating against the welfare of workers. Shortly before his resignation became official, Nahas submitted to the Cabinet a draft law redefining wages and social benefits, and addressing the Cabinet decrees that have been issued yearly since 1995 and repeated contested by the Shura Council.